Under New Ownership as of May 4, 2018. Operations are being moved to the new location in Washington. Starting sometime in June 2018, we will be back in operation. P.F. 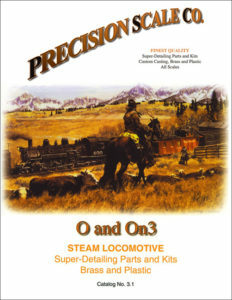 & S Railway Supply Inc.
We do sell our parts and kit line direct. 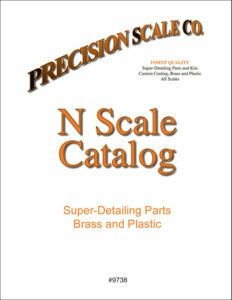 We encourage you to download our FREE PDF catalogs below, which contain illustrations and descriptions for your research needs. 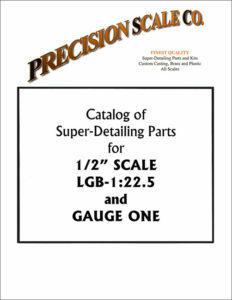 Some of the catalogs are large and may take awhile to download, depending on your internet connection. Please note: We can not inventory our complete parts line, so always allow 2 weeks for processing your orders. Thank you! #9738 N Scale complete line, fully illustrated. 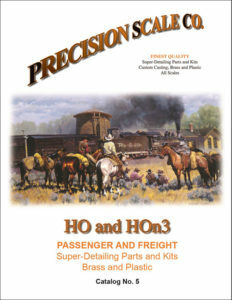 #9739 HO/HOn3 Passenger/freight car No. 5, fully illustrated. 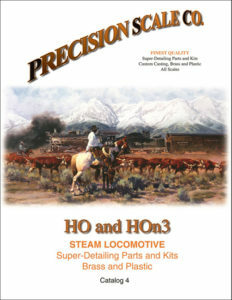 #9740 HO/HOn3 Steam locomotive No. 3.1, fully illustrated. 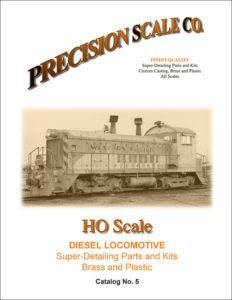 #9741 HO/HOn3 Diesel locomotive No. 3, fully illustrated. 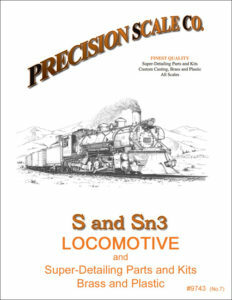 #9743 S/Sn3 complete line, fully illustrated. 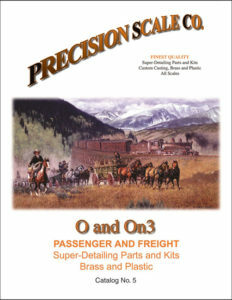 #9744 O/On3 Passenger/Freight car No. 4, fully illustrated. #9745 O/On3 Steam locomotive No. 3.1, fully illustrated. #9746 O/On3 Diesel locomotive No. 3, fully illustrated. 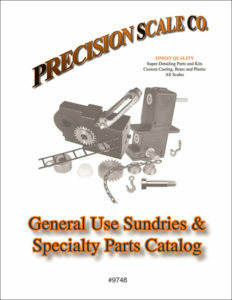 #9748 General use “All scales” Sundry catalog, fully illustrated. #9749 1/2″ and 3/8″ complete line No. 3, fully illustrated. Buy the best from P.S.C. 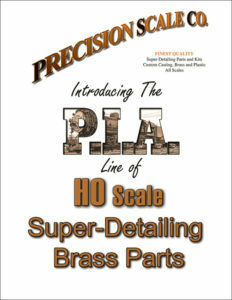 And put some PRECISION in your SCALE! © 2018 Precision Scale Company | Pasco, Washington | 509-528-9711 All Rights Reserved.